A couple of weeks ago I wrote a blog post on WSUS management with PowerShell. The post came with a script that could be used to manage automatic approvals of WSUS patches and updates. This time I have decided to transform that script in an advanced PowerShell function named Invoke-WSUS (you can find it on my Github). This function is kind of jack-of-all-trade: depending on the used parameter set, it can do a series of actions, as shown in the description and in the help file. Invoke-Wsus is a function used to manage WSUS. show WSUS target groups configuration. To see the examples, type: "get-help Invoke-Wsus -examples". For more information, type: "get-help Invoke-Wsus -detailed". Before you can use this function you have to use the Set-ApprovalDelay script to generate a JSON setting file. This file will contain the list of the approval schedules and, for each schedule, you will have associated WSUS target computer groups and the delay in days between the synchronization of your WSUS server and the actual approval of patches. computers belonging to a WSUS target computer group whose name matches the 'Standard' word will be patched 1 day after the synchroniezation of your WSUS server with Microsoft. computers belonging to a WSUS target computer group whose name matches the 'Touchy' or 'Critical' word will be patched 7 days after the synchroniezation of your WSUS server with Microsoft. You can simply adapt these settings to your environment and re-run the Set-ApprovalDelay script to generate a new setting file for your organization. Now that you have understood what the configuratrion file is used for, here's a couple of useful examples that show what the Invoke-Wsus function is capable of. Having this information will simplify the work of chosing the words to use in the setting file to match target computer groups. 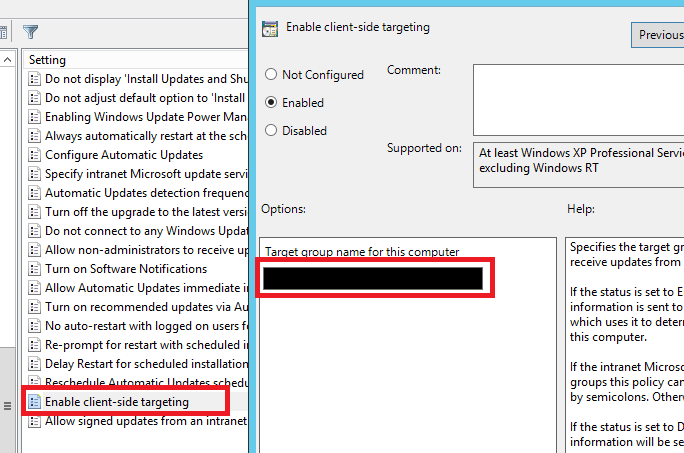 This basically tell the function to execute the automatic approval of needed patches and updates for target computer groups based on a delay between Patch Tuesday, Synchronization day and the delay specified in the setting file. You could also add a second scheduled task that will inform you by mail of the actions of the day by using the 'Send Mail' parameter set. Let me know how it goes for you and if you have any question or improvement to suggest, feel free to get in touch with me. If you follow me, you know that I've been playing a lot with WSUS in recent days and have discovered there's an extremely simple way to extract the list of all the Microsoft Security Monthly Quality Rollups (which include cumulated security updates and non-security updates) residing on a WSUS server with the help of PowerShell. The key cmdlet is Get-WsusUpdate. The Get-WsusUpdate cmdlet gets the Windows Server Update Services (WSUS) update object with details about existing updates. The key point here is that Get-WindowsUpdate used with no parameters reports patch information of the computer where it runs, which is just a subset of all the possible patches. As you can see the monthly rollups I see here is the one from last March Patch Tuesday (KB4088876). All you need to know is simply what kind of patches you want to extract from this huge list. A few examples now. Stay tuned for more PowerShell and get ready for today's Patch Tuesday! 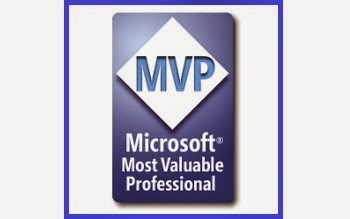 I have recently discovered the work of fellow MVP Adam Marshall who wrote a fantastic script aimed at cleaning your WSUS servers and decided to adopt it. A few days later I started thinking to how I could complete his work by adding a script that could automate the management of patches throughout the year for all of my servers, so I shouldn't have to manually sync and approve patches. In this post I will explain how I manage the whole patch process and introduce my PowerShell script, which I named wsus-operation.ps1 (which you can find on Github). Sure, this is an on-going work, so I'll try to keep this post updated with feedbacks from the Community and with all the things I discover over time. The first step is to understand how to manage the patching process through the year. Hence the reason that pushed me to spend a good amount of time studying the calendar to finally draw the circular timeline you see below: it allows easy visualization of the patching process from Patch Tuesday to the day Adam's scripts does the monthly cleanup after all the patches have been deployed. Supposing that today it's June, 5th, next Patch Tuesday will happen in 7 days on Tuesday, June 12, 2018: Patch Tuesday comes the second Tuesday of the month so for sure we will have to include in our script a few lines of code to calculate it correctly. After Patch Tuesday, it's a best practice to wait roughly a couple of weeks before synching your WSUS server, then existing Domain Group Policy (GPO) should intervene and patch servers following their criticality. A typical way of doing is to safely sync your WSUS with Microsoft on the fourth Monday of the month (aliased to FM in the circular timeline). The day after the sync (FM + 1 day) you could auto-approve needed patches for standard non-critical servers, then a GPO configured in 'Auto download and schedule the install' mode could fire the installation every Wednesday (which is always FM + 2 days) so that those servers actually get the patches and are eventually rebooted. For touchy and critical servers, you could approve one week after the sync (FM + 7 days) and set the corresponding GPO configured in 'Notify for download and notify for install' mode, so that nothing actually happen on the servers until you are 100% sure those patches don't impact negatively your environment (i.e. in case of a bug). In the end you would configure AdamJ script to perform the monthly cleanup of the WSUS database on the 7h of the month following Patch Tuesday so you have plenty of time to manually patch your most critical servers. Actually, you have to know that Adam's script runs different actions whether it's a standard daily run, a monthly run or a quarterly run (on January, April, July and October). So back to my script now. Here's an explanation of the most relevant parts. Then all the possible conditions have to be evaluated so that proper actions are executed. If no actions are to be executed, then we just display a message. "Next Patch Tuesday is in $((New-TimeSpan -Start $now.date -End $patchTuesday.date).days) days on $($patchTuesday.ToLongDateString())`n"
"Next Sync will happen in $((New-TimeSpan -Start $now.date -End $FourthMonday.date).days) days on $($FourthMonday.ToLongDateString())`n"
Before we continue, a quick note about WSUS group assignment: you really should enable Client Side Targeting in your WSUS GPO so that you are assured that your servers will automatically fall in the right WSUS groups. In my case I have configured targeting of non-critical servers in a group named 'standard servers' and targeting of touchy and critical servers in groups named 'touchy servers' and 'critical servers'. "==> It's the day after fourth monday of the month - approving for Standard servers`n"
"Next approval for Standard servers will happen in $((New-TimeSpan -Start $now.date -End $StandardApprovalDay.Date).days) days on $($StandardApprovalDay.ToLongDateString())`n"
"==> It's the 7th day after fourth monday of the month - approving for User-Touchy and Mission-Critical servers`n"
"Next approval for User-Touchy and Mission-Critical servers will happen in $((New-TimeSpan -Start $now.date -End $CriticalApprovalDay.date).days) days on $($CriticalApprovalDay.ToLongDateString())`n"
"==> Today is WSUS monthly clean up day`n"
"Next WSUS monthly clean up will happen in $((New-TimeSpan -Start $now.date -End $(Get-Date -Day 7 -Month $($now.Month + 1) -Year $now.Year -OutVariable datenextcleanup).Date).Days) days on $($datenextcleanup.ToLongDateString())`n"
As you can see, coupling those actions with well configured group policies and with Adam's script will make your WSUS installation agile and pretty automated. Of course this approach can be improved and if I find better ways of doing I won't hesitate to update the PowerShell script on GitHub as well as this post. I hope that the community will contribute to the improvement of this script based on its experience, so that this can benefit the Community and will make WSUS admins less prone to headache. If you liked this post, feel free to share. $comments = "Today is $($now.ToLongDateString())`n"
$WSUSCleanUpDay = 7 # What numerical day of the month whould the WSUS cleanup script run? So thanks to him for these contributions. The updated script can be found here. That is exactly what being part of a technical community should be like. UPDATE June, 14th 2018: Added a few more date conditions so that when the script runs between approvals, it is able to handle correctly the action to do. Added also a few minor fixes. Find the updated code on GitHub. UPDATE June, 20th 2018: Published the Invoke-Wsus advanced PowerShell function which improves and replaces the wsus-operations.ps1 script.